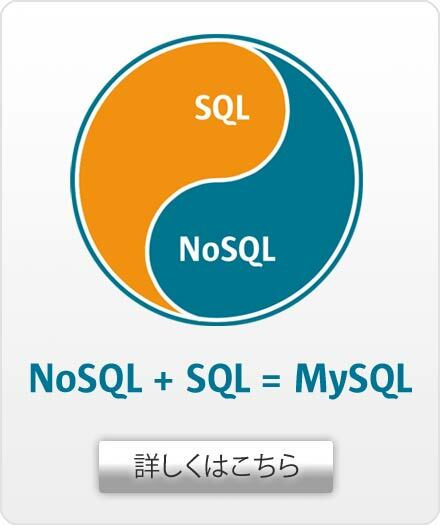 MySQL has met and exceeded all of Extenda’s performance demands. MySQL's sub-second response time enables Extenda Retail Selfscan to display data on-screen instantaneously. Extenda is the Nordics' market-leading provider of retail solutions. 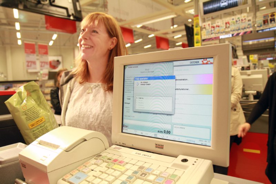 Started in the 1980s and headquartered in Sweden, Extenda's solutions are now used in over 7,000 stores and 30,000 points-of-sales (POS) in more than 27 countries. Extenda's customers are primarily in the fashion, grocery, and specialty retail markets and include many large, multi-national retailers such as ICA (Grocery), Apoteket (Pharmacy), KappAhl (Fashion), and Stadium (Sports). Extenda is dedicated to providing highly flexible Point of Sales (POS), Central Office, Selfscan, and Self Checkout solutions that enable retailers to quickly and easily respond to even subtle changes in demand and supply. Extenda solutions are unique in their ability to support highly complex price, promotion, and loyalty offers while also remaining easy to use and highly reliable. Extenda solutions can be used across countries and across a wide array of goods and services from food and liquor, to fashion, and even passport services. In fact, Extenda guarantees that their standard products will comply with any county's local laws and regulations and integrate with their fiscal printers and EFT (electronic funds transfer) terminals. Using Extenda solutions, retailers gain the agility to implement their business initiatives and expand their operations without overburdening their IT resources. In the 1990s, Extenda's original product line was Windows platform-based, and included the Microsoft Access database. In the 2000s, Extenda started to see RFPs and RFIs for Linux support as their customers sought to lower their costs in the highly competitive, low-margin retail industry. In response, Extenda moved all of their products to Java, giving their customers the flexibility to deploy on any hardware or operating system. In addition, Extenda stopped including Microsoft Access with its products and instead added support for a number of databases, enabling their customer use whatever database they had or preferred. This latter decision proved increasingly costly to both Extenda and its customers over the next few years. The cost to Extenda of integrating their products with a number of databases, testing each one, and supporting their products on a variety of databases, increased their product costs to the point of either eroding profitability or raising their product prices. In addition, Extenda's customers started to request that Extenda include a standard database with their products, preferring the ease and lowered costs of an embedded database to acquiring, administering, and maintaining their own. Extenda decided to find a database standard that could be embedded with their in-store solutions such as POS, Selfscan, and Self-Checkout. Because the majority of retailers have a central office database that they are highly reluctant to change, Extenda has continued to support its Central Office Product on multiple databases. Based the results of their evaluation and their prior experience supporting their customers' use of MySQL, the evaluation team felt certain that MySQL was best able to meet their business and technical needs. Lowered Product Costs - Even though Extenda was previously not paying directly for database licenses and support, using MySQL has reduced their total product database costs by reducing their integration, QA, and customer support costs. Ease of Development and Integration - Using MySQL's APIs, the product team was able to fully automate MySQL's administration, backup and restore entirely through their application. As a result, Extenda's customers have zero database tasks and Extenda's customer support load has been greatly reduced. In addition, MySQL's popularity, active community, and wealth of on-line resources considerably shortened the product team's learning curve and development time with MySQL. Performance - MySQL has met and exceeded all of Extenda's performance demands. MySQL's sub-second response time enables Extenda Retail Selfscan to display data on-screen instantaneously. Happy Customers - Extenda's customers have been highly satisfied with MySQL: it's included with Extenda's solutions, works right out of the box and over time without any administration or maintenance, and includes Oracle support for peace of mind. Moreover, it delivers all of the capabilities they require at a lower cost.